Reduce your debt by 50% or more! bankruptcy, loans, or up-front fees! If you are struggling with debt month after month, DO NOT MAKE ANOTHER PAYMENT you can't afford until you know your options! 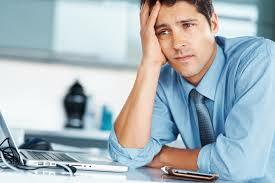 Are you stressed out every month trying to keep up with your bills, barely making the minimum payments? Do your balances stay the same or increase after months or even years of making payments? Does it feel like the cost of everything is going up every year? Did you know it could take 30 years or more to pay off credit cards if you only make the minimum payment? If you answered "Yes" to any of these questions, please read on, as this information could change your life! It has been estimated that it takes approximately $50,000 a year to support a middle class lifestyle for a family of four, and so the fact that 72 percent of all workers make less than $50,000 a year, shows how difficult it is for families that try to get by with just a single breadwinner. This varies greatly depending on where you live, $50,000 might be more than enough in Brownsville, TX, but not in New York city or Los Angeles where you would need $150,000 to be comfortable. The way that our economy is structured now, both parents usually have to work as hard as they can just to pay the bills. It wasn't always this way, there was a time when our government did what they were supposed to do and looked out for middle class people. At some point in the early 1980's our politicians sold out to the banks and credit card companies by lifting restrictions that were placed upon them, restrictions that kept them from taking advantage of you. From this point on people's salaries stopped going up, and at the same time the cost of living kept going up. The credit card companies saw this as an opportunity to lend you more money at rates as high as 30%, while allowing you to make an interest only minimum payment which would ensure that your balance would never go down. Guess what, you are not alone, and it's not your fault! Millions of Americans have been left behind and used by an economy that caters to banks, credit card companies and other lenders who take advantage of the middle class. It is estimated that 2 out of 3 Americans are currently living paycheck to paycheck. That's right your friends and neighbors are going through the same thing, debt is just one of those things people don't talk about. 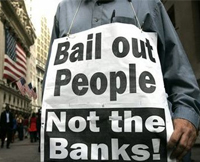 Without us the banks would have no economy to profit from, but there was no bailout for people like us, instead our government chose to bail out large banks, the same banks whose greed caused our economy to collapse in 2008, and it has yet to recover. What many people don't know is the consumer can also get bailed out just like the banks did without borrowing more money or filing bankruptcy. When the banks were bailed out, they were allowed to charge off bad debts which basically erased those debts from their books. A Consumer Bailout or debt settlement works in a similar way, as it is designed to charge off or reduce your unsecured debt by 60% or more without bankruptcy or taking out more loans. Our Consumer Bailout Program can completely eliminate your unsecured debt in 1 to 4 years, depending on the amount you owe. For a Consumer Bailout to work, your debts must be settled with your creditor for less than what you owe them. If you were to try negotiating with creditors on your own, it is not likely that you would get anywhere with them because they don't want to make the debt settlement process too easy. If it was easy to ask a creditor for a debt reduction, then everyone would be trying to do it, even those who can afford their payments. However a large debt settlement company contacts and the reputation to get the job done, because they are settling thousands of accounts in bulk every month with the same credit card companies, and they pretty much know all of the players involved on a first name basis. 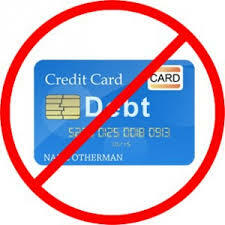 Eliminate or reduce all credit card and unsecured debt. You will have an immediate reduction of monthly payments. You will be paying back less than half of what you currently owe. You can drop out of the payment plan at any time without penalty. 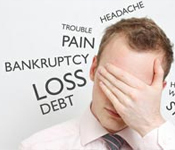 Unlike bankruptcy, your credit rating will not suffer as much. Unlike debt consolidation, you will not take on any new loans. You can keep any account open, so you will still have access to credit. No collection calls while you are enrolled in the program. No upfront fees of any kind. 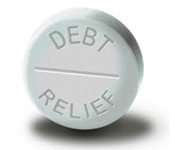 Chargeoff.com is affiliated with the largest debt settlement company in the U.S. We work to get you an average of at least a 42% reduction on all of your unsecured debt, such as credit cards, medical bills, personal loans any debt that is not secured by collateral. You can be debt free in as little as 1 to 4 years depending on the payment plan you choose, and you will pay back less than half of what your current balances are, many times even less. There are no up-front fees to you, and as soon as we qualify you for this program, an escrow account will be set up in your name, into which you will make a lower monthly payment, usually half of what you are currently paying. Your creditors will then be notified, and from that point on, we will work on settling your debts directly with them one at a time. Our credit counselors will be there for you until every one of your debts has been settled, and you are debt free. So don't put it off any longer, get the bailout you deserve starting today! Click here to continue. 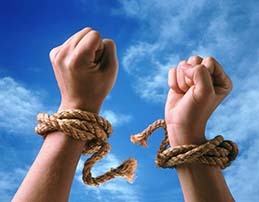 Free yourself from debt, and take back control of your life! © 2019 Chargeoff.com. All rights reserved. This program is only available to U.S. residents and is not available in the following states: Colorado, Connecticut, Delaware, Georgia, Hawaii, Iowa, Idaho, Illinois, Indiana, Kansas, Kentucky, Maryland, Maine, Minnesota, Mississippi, Montana, North Dakota, New Hampshire, New Jersey, Nevada, Ohio, Oregon, Rhode Island, South Carolina, South Dakota, Utah, Vermont, Washington, Wisconsin, West Virginia, Wyoming. * The information contained on this website is for general information purposes only. Chargeoff.com does not act as a law firm, and nothing on this website should be taken as legal advice for any individual situation or case. Our network of advisors serve individuals and families facing financial hardship resulting from consumer debt. 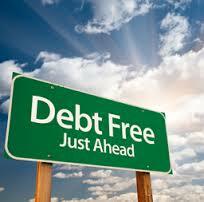 We have helped numerous satisfied clients and provided effective debt settlement and other credit related solutions. All of the advisors in our network provide free case evaluations to all in need with no up-front fees of any kind. By submitting your information to us, you consent and request to be contacted by debt advisor by phone, text, and or email at the number listed above, even if the number you provided is on a National or State Do Not Call List. Your consent does not require you to purchase any goods and/or services. By submitting you have read and agree to the Terms & Conditions.